In Ukraine, they say if you want to see Europe on a thin wallet, visit Lviv. It starts with the architecture. Bizarre moldings stand side by side with edgy modernism and onion-domed churches on fountained squares. Cobblestones echo under your feet. And wide wooden stairs lead up to a dazzling variety of coffeehouses, from a 19th-century grand café to a hipster espresso bar. 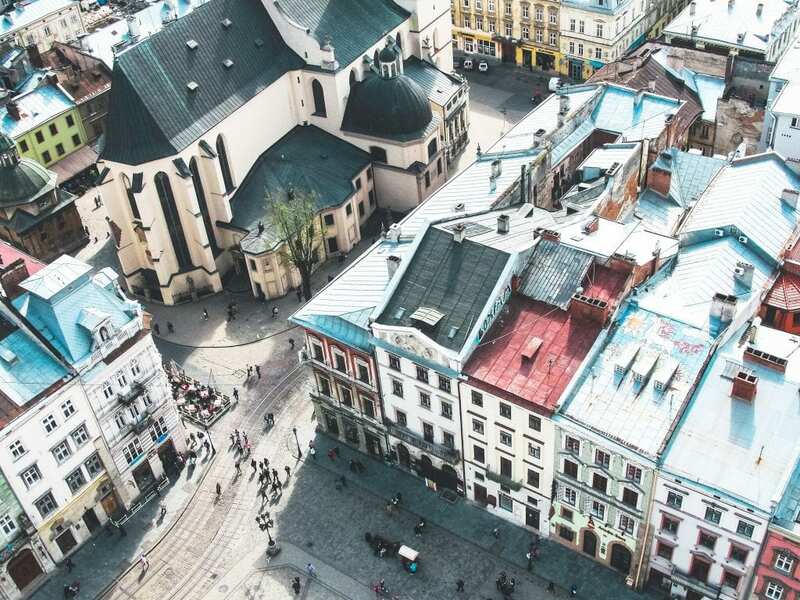 What a contrast Lviv is to Kiev’s concrete blocks, with all the gray cheshkas and khrush­chovkas of Soviet times, the silent and sturdy symbols of that colorless bygone era. The city spaces in western Ukraine are organized in a radically different way than in Ukraine’s central and eastern regions. And the heritage, while shared, also has different roots. Walking down Lviv’s streets and alleys, among buildings centuries old, erected when the city was also still called Lemberg, you enter a coffee shop where they will serve you a coffee á la Vienne. For someone who’s visiting Europe for the first time, it’s an introduction to the characteristic city culture for which the continent is known. 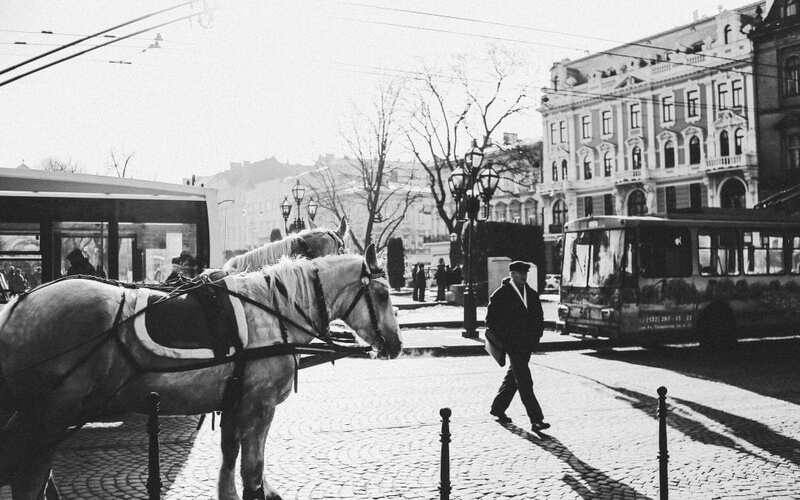 For a visiting Ukrainian, it may well feel like a fairytale. “It is as if legends come to life in Lviv,” my friend once told me. It is also more pleasant to dream there. There you find people are bringing these to life. For Andriy Khudo, one of the founders of Fest restaurant chain, city legends are the themes of his restaurants. Most have European roots or can be aced back to the times of the Austro-Hungarian Empire. Abandoned buildings have become a resource: Defunct factories become art centers, depots turn into conference halls. Bohdana Zakaliuzhna, Director of the JAM Factory, is heavily involved in this transformation of her city. Together with owner Harald Binder Cultural Enterprises, she hopes to create a modern cultural center unique for the city. 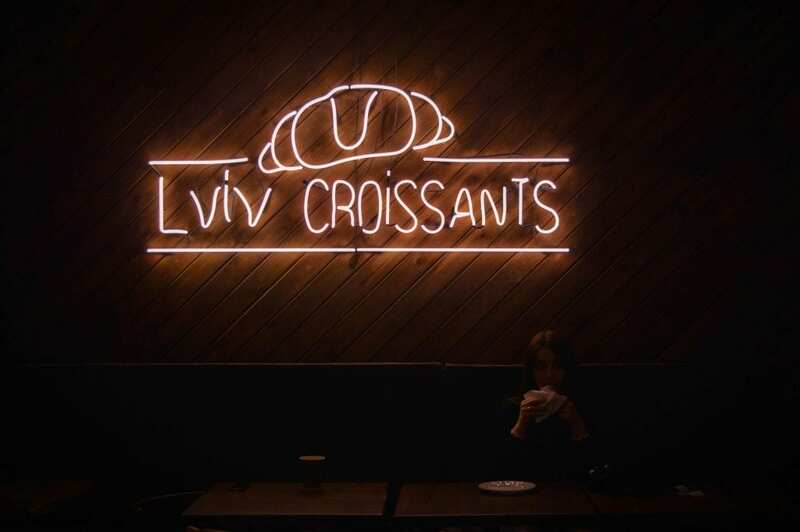 It is at places like these where Lviv’s new “creative class” is being formed, attracting talent and changing the city from the inside. “We have a couple of ideas to turn abandoned factories and hangars into cultural and art centers or co-working spaces – creating so-called ‘third places’,” Zakaliu-zhna explains. As recently as 2007, Lviv was a landscape of gray with many empty storefronts and parking on the main square. Ten years and a revolution later, the Galician capital has changed in spectacular fashion, even begin- ning to export its image and approach to the whole of Ukraine. Today, the word “Lvivskyi” (Lvivean) is a sign of quality that is drawing tourists, domestic and international, by the thousands. 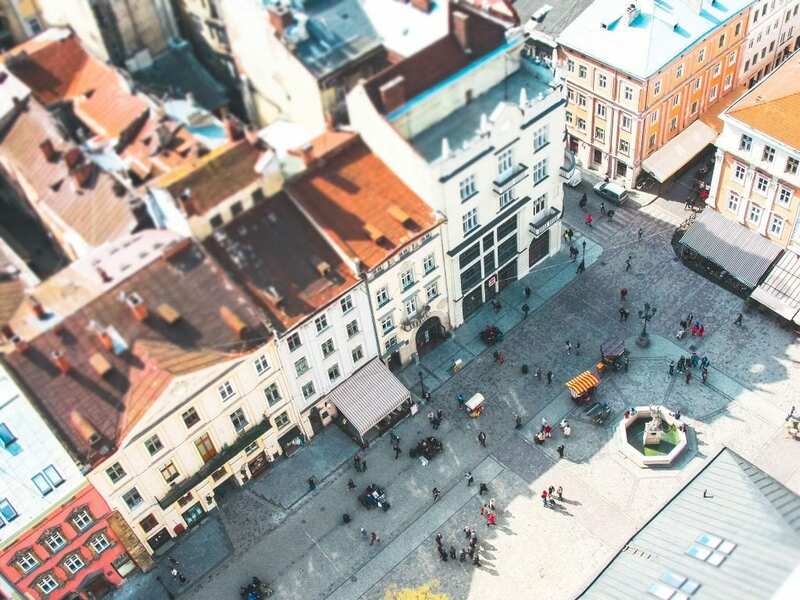 Over 2.6 million people visited Lviv in 2017 alone, with some claiming that Lviv has replaced Vienna as the dream city for Ukrainian lovers planning to propose. Beautiful as it is, though, this is all very recent. Yes, Lviv is coming back to life, but a mere decade ago it was still the “Wild East,” where water was rationed and people needed to go abroad to earn a decent living. After decades of Soviet occupation, followed by the post-Soviet breakdown, that was just the way it was. The upheavals of the 20th century affected everyone in Ukraine. Outcomes varied: Cities like Chernivtsi managed to preserve their Austrian architecture and suffered what one might call only “cultural losses,” while Ivano-Frankivsk was almost completely destroyed. For many years, western Ukraine remained grindingly poor, a shadow of the magnificent region it had once been. And while Europe seemed to forget about Galicia, the Soviet Union was doing its best to wipe out all the remaining signs of local identity. Respect for private property gradually faded and corruption on flourished. Artists felt under pressure from the state. But the main thing that distanced Ukraine from Europe was the Iron Curtain – the inability to leave the country or get information from abroad. Even its independence, gained in 1991, was more nominal than real. The country was still under a strong Russian in influence, which was becoming stronger from year to year, before finally reaching its peak during the presidency of Viktor Yanukovich: e army had been destroyed, the power structures were accountable to Russia, and Ukrainian culture was in decline – before the Euromaidan revolution of 2013/14. Yet every culture has its legends. And in Ukraine, the myth of Galicia was one of the most powerful. A center of eastern European culture, it was established as a crown land by the Habsburgs in 1772, combining parts of western Ukraine and eastern Poland, as the Kingdom of Galicia and Lodomeria. For Ukrainians, writes historian Timothy Snyder, the creation on of Galicia was an opportunity to get out from under what they saw as Polish oppression; for the Poles, it was seen as the beginning of occupation. Galicia is one of the four lands of western Ukraine, along with Volyn, Bukovyna and Zakarpattia, making up everything west of the river Zbruch. For a long time, Zbruch was a symbol of Ukraine’s division among two empires, the Austrian and the Russian. The two parts of Ukraine developed along this fault line with differences of language and culture that remain to this day: Orthodox Christians in the East, Greek-Catholics in the West, the former speaking more Russian, the latter Ukrainian. But in some ways, Galicia is more of an idea than something material. Today, it exists mostly in art: fine arts and literature, in the writing of Galician natives Bruno Schulz and Joseph Roth. Galicia was a poor land full of leg-ends and fairytales, a place of inspiration and struggle. An important element in the shaping of the myth was the enlightened and relatively light hand of the Habsburgs. The humanities of the land began to develop rapidly – schools and universities were opened, artists work-shops created. It is against this background that the Austro-Hungarian Empire is remembered fondly by many Ukrainians. All that might have been negative in that history was superseded by the terror of the world wars, the horrors of the man-made famine in 1932/33 and the color-less monotony of the Soviet years. In fact, the Habsburg rule did bring the advent of modernity, from education to the railroad and a flourishing city culture. But it also brought mass emigration and grinding poverty. Maria Theresia introduced elementary education for all, restored Lviv’s university, implemented religious reforms. Her son, Josef II, gave the population civil rights and lightened the tax load for the majority by making aristocrats pay a fairer share. Despite mass emigration, the population increased from 2.6 million people in 1773 to 8.2 million in 1914 (about 10% of which were Jews). Nonetheless, Galicia was mainly seen as a supplier of materials and food to Vienna, and industrial development was discouraged. The kingdom was also the most diverse province of the Empire, with a population made up of Ruthenians (later known as Ukrainians), along with Jews, Germans, Poles, Armenians, Czechs, Slovaks, Hungarians and Roma. Local land owners tormented the peasants, who were by far the majority and who put their hopes on the far-away Emperor and the comparably impartial Imperial administration, as Pieter M. Judson detailed in his magisterial book The Habsburg Empire. 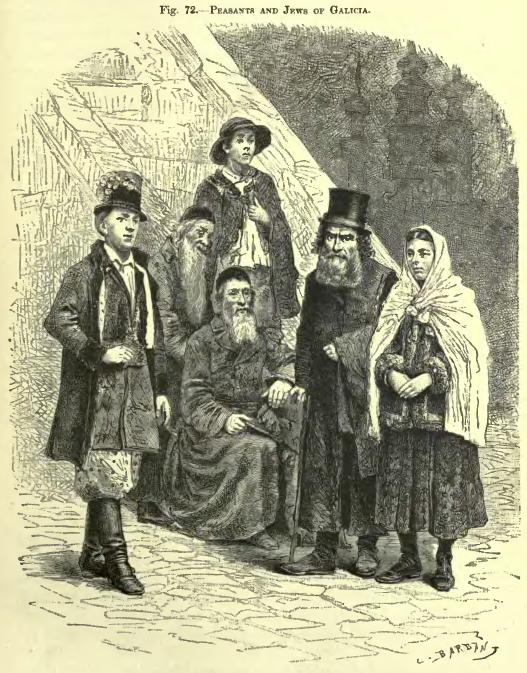 Jews coveted the freedoms granted them by repeated “tolerance patents.” And yet Galicia also stayed the poorest province of the Empire, leading Poles to coin the phrase “nędza galicyjska” (Galician misery). But while they were poor, they were still somewhat richer than nearby Bulgaria, Serbia, Greece and Russia at that time. This position, at the cusp of geopolitical fault lines, was a foreboding of things to come. Poverty, as dire as it was, soon seemed rather quaint compared to the horrors that befell the Ukrainian lands after the First World War. The Ukrainian war of independence (1917-22) ushered in the Soviet era, with proponents of the idea of an independent Ukraine bitterly persecuted. Then came the catastrophe of the Holodomor (“to kill by starvation”), a man-made famine that killed 3.5 to 7.5 million Ukrainians in 1932/33. According to most scholars, the famine was planned by Joseph Stalin to eradicate the Ukrainian independence movement. In World War II, the Nazis and the Soviets in parallel inflicted horrors on the region that led historian Snyder to call the region the “bloodlands.” Repression, mass murder, and state-imposed terror inflicted irrevocable damage. The iron times of life as a post-war Soviet republic did little to heal those wounds and much to compound others, like the vast environmental damage of Soviet heavy industry or the devastated nuclear power plant at Chernobyl. Austro-Hungary, with all its shortcomings, was, by comparison, a good fairy tale, and Ukrainian grandmothers are said to still hide portraits of Emperor Franz Joseph under their beds, in memory of a golden age that ended be-fore they were born. But as is often the case, there are two histories: In Ukraine today, the “myth of Galicia” is once again going strong. Local artists pore over its history, while artists and activists refer to the era of the Empire in their projects. In Poland, not surprisingly, this myth is not so popular: The Poles are trying to forget the times they were absorbed into other empires. The Ukrainian journalist Volodymyr Pavliv has traced these differing attitudes. “For Ukrainians, Galicia represents a kind of spiritual home. 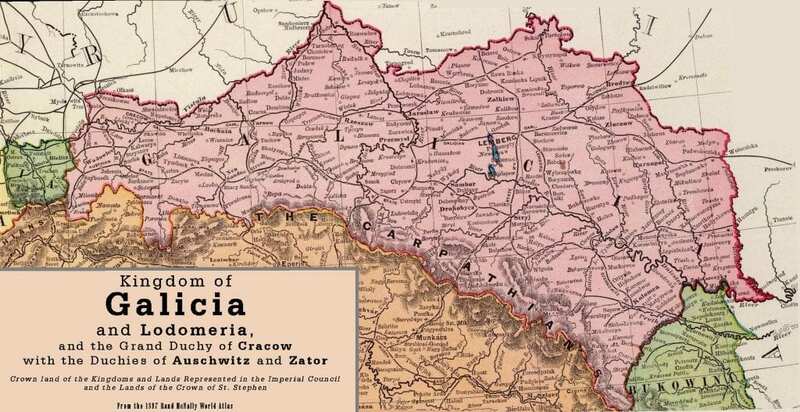 For Poles, it was merely an Austrian fiction aimed at dividing the Polish people.” Some of this difference stems from the “massive population changes” in West Galicia in the 20th century: “The Jews were killed and other Ukrainians deported.” In their absence, others moved in. “They were neither familiar with the myth of Galicia, nor did they care. Galicia, in the designation. It is rather a land with its own special features, of religion, initiative, and orientation toward Western values. Galicia exports ideas, inspired by Ukrainian content and meaning. Some people call it gentle Ukrainianization and some call it Galician zaradnist – the ability to help yourself. This, too, dates back to the times of the Empire. Living in a competitive environment under the Habsburgs, western Ukrainians learned to defend their rights and well-being. Especially under Soviet occupation, this spirit would become vital. ”In his book The Tango of Death, Yuriy Vynnychuk describes Galicians’ resistance toward the people who moved to Lviv after the Soviet occupation during the Second World War, replacing Ukrainians who had been deported or murdered. 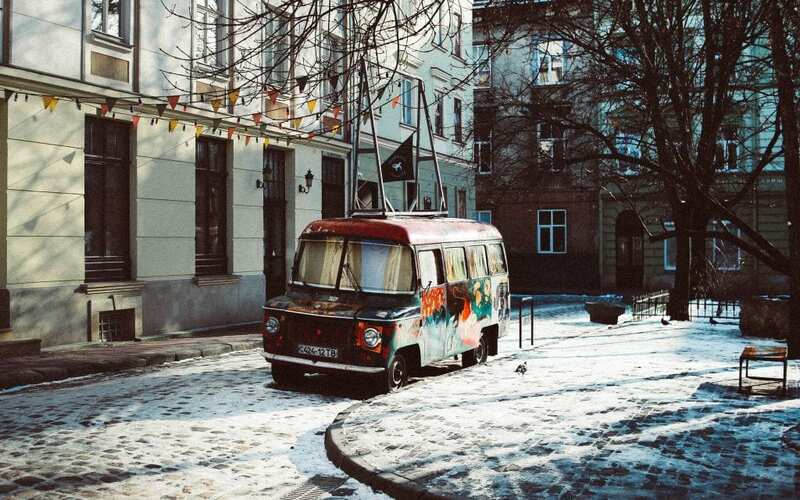 The protagonists of the novel are surprised that “Soviet people” don’t greet each in the streets. They are more aggressive and their language hard to understand. Harder living conditions and repression in the east changed how people treated each other. Galicians had felt less pressure and had developed in another way. Many historians argue that it is in Galicia that Ukrainian identity has been preserved most fully, where it was strong enough to survive the totalitarian regimes of the 20th century. Where the Imperial government had supported Ukrainians’ aspirations to self-determination considered it unacceptable ethnic national-ism and a major crime. So Ukrainian culture went underground. The most important act of the underground was samvydav literature. Pro-Ukrainian novels and articles were published secretly and you could get arrested for reading them. It was important to let the Western world know what was happening in Ukraine, wrote activist Mykhailo Horyn in his diaries. By the ’60s, dissidents were sending reports to the Voice of America. Artists, writers, journalists went underground as well; publishing was dangerous. So, Galicia and neighboring Bukovina are the lands that kept a European soul. And cities like Lviv, Ivano-Frankivsk and Chernivtsi are in the vanguard of change in the country, the first two also the power centers of zaradnist. Today Lviv can compete with Kiev, not only economically, but also in terms of talent, education and cultural life. While Kiev is a big city where it is hard to function without a car, Lviv is more compact, with bike lanes and comfort-able tram routes. Yet the level of activity differs little. Both cities are home to prestigious universities; both host music festivals and book fairs of a national scale. “Self-help is common among the people of Galicia. The Austro-Hungarian period positively affected the sense of private ownership as well as some cultural issues.” Austria-Hungary still remains a source of inspiration. “Our task is to find sound elements in the cultures where we used to belong and construct our own identity. Because we are Ukrainians after all!” says Fyliuk. A renewed spark of activity amid traces of the past can also be found in the little town of Chernivtsi. “There is true Austria there,” a middle-aged passer-by tells me when I ask the way to the literary café. The old furniture from the Habsburg times was preserved here and locals love to emphasize their Austrian or German roots. Not least, because many of their ancestors emigrated to the West. Austrian Volodymyr Zalo doesn’t speak the Ukrainian language of his grandfather, but still identifies with the place his family came from. “When I was in Chernivtsi, I saw many similarities with Vienna – al-though the economic situation was very bad there… I remember when I was a child I was told stories about the Jewish, Polish, and German communities in Chernivtsi, but then [when we went back] in the ’90s, this cultural diversity was no longer felt there. ”Nowadays, for many descendants of emigrés in Austria, Chernivtsi remains legend, a reminder of times gone by. Few of them know that Chernivtsi was often called “little Vienna,” for both the architecture and the life-style of the city. For example, the introduction of visa-free travel between Ukraine and the EU, in force since June 11, 2017, is seen as a major mile-stone. But few realize that such a regime already existed 150 years ago. 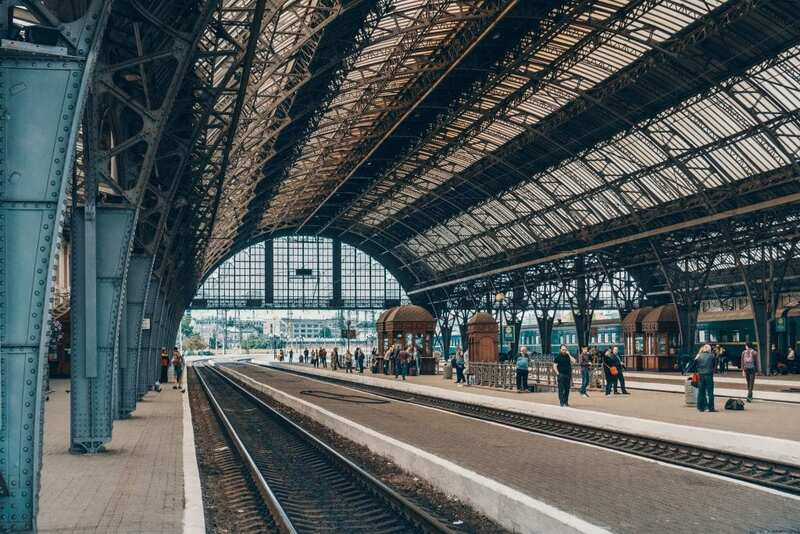 Back then, new railway lines sought to connect the outskirts of the Empire with the center, as the railroad from Vienna to Lviv did 1866, passing through such cities as Ivano-Frankivsk and Krakow, in today’s Poland. In just 14 hours, an ordinary Ukrainian could reach Vienna by train, with-out passport checks, work permits or a citizenship test – stirring a sense of national pride in the advancement of civilization. Austrian journalist Martin Pollack believes in the power of a shared history. “We are all connected by our ancestors. My foster father fought during the Second World War in Galicia… In my opinion, Ukraine is truly a part of the Western world,” says Pollack. Therefore, the revolution of 2014 and the subsequent war in the east were the logical consequences of the long-term Russian occupation. The 70 years of the Soviet Union had profoundly changed Ukraine, and much of its character went underground. Today, many Austrians still don’t have a clear idea of the differences between Ukrainian identity and that of other east Slavic nations. And Ukrainians still know little about Austria or its way of life. But after 25 years, things are beginning to change. “We Austrians have a mission to build a new cultural channel. I feel that something is happening in that region,” said Erhard Busek, Austria’s former vice chancellor and minister of science and education. Europe, it often seems, is tired of the constant drumbeat of Ukrainian problems. Perhaps it would be better, then, to focus more on the positive sides, such as art and literature or its stunning cities and countryside. But this can’t happen without returning to the roots and gaining freedom. “Galicia is a locomotive that goes West, but t it has to slow down because of wagons that slip behind,” suggests Yurii Andrukho-vych. In addition, western Ukraine feels a certain “mission” toward other regions of the country. And while this may be well-intentioned, it also carries a whiff of superiority, which may offend people from the center or the east of the country. Problems like corruption are wearing for Ukrainians. They have often been disappoint-ed and, in the end, stop believing in reform. However, the influence of Western values is spreading, bringing other ways of thinking. Perhaps most importantly, what Ukrainians and Europeans alike need to change their image of Ukraine. And to try not to get discouraged if it doesn’t work the first time.